Riverside Leisure Complex in Chester-le-Street and Freeman’s Quay Leisure Centre in Durham hosted three events for Sport Relief 2016 that attracted people of all ages and abilities to run, swim and spin to raise money for charity. 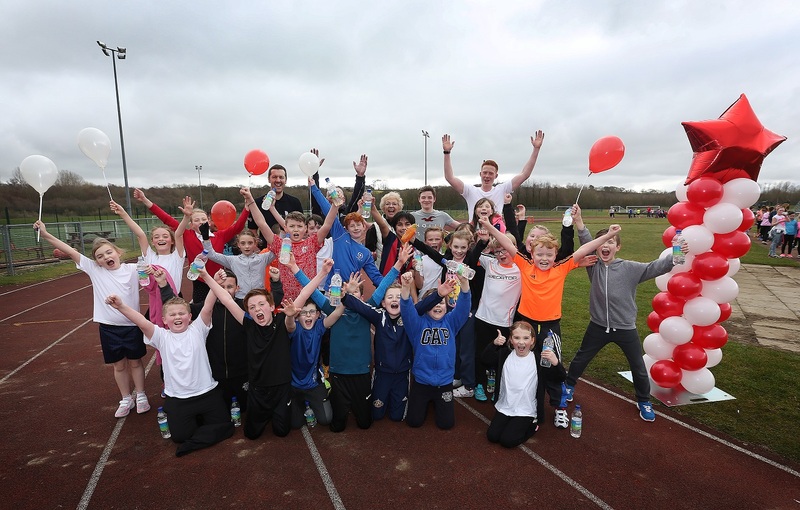 200 children from Red Rose Primary School and St Cuthbert’s RC Primary School completed a mile on the outdoor running track at Riverside Leisure Complex. 51 swimmers took part in an hour-long aquathon and an amazing 228 people joined a 24-hour spinathon including students from Durham Sixth Form. The total 168 hours cycled was approximately 2520 miles – more than the distance from Durham City to Athens, Greece!